WASHINGTON — From a return to higher premiums based on gender, to gaps in coverage for birth control and breast pumps, experts say women could end up paying more for less if the Obama-era health care law is repealed. The 2010 law ended a common industry practice of charging women more than men for policies purchased directly from an insurer. It made maternity and newborn care a required benefit for individual health plans. And it set a list of preventive services to be provided at no extra cost to women, including birth control and breast pumps used by nursing mothers. That preventive care requirement also applies to most employer plans. Nearly half of pregnancies are unplanned, and prior to Obamacare some women would get pregnant only to learn that their insurance did not cover maternity and delivery, said Dr. John Meigs, a longtime family practitioner in the small town of Centerville, Alabama. 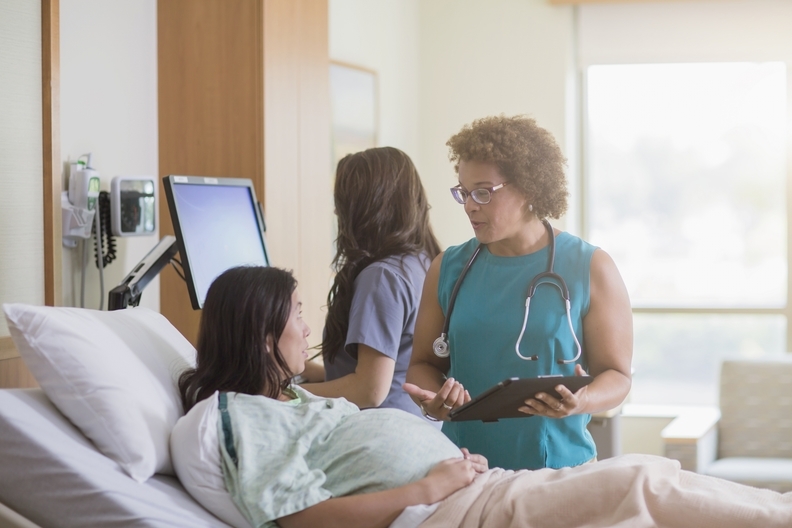 "A lot of women were delaying their prenatal care until they could figure out what to do," said Meigs, president of the American Academy of Family Physicians. Pregnancy "is one of those things that ought to be covered, because it happens." Democrats are keying in on the issue as they try to block or blunt the GOP drive to repeal the Affordable Care Act. "We don't want our country going backward when it comes to women's health," said Sen. Patty Murray, ranking Democrat on the Health, Education, Labor and Pensions Committee. Women are widely seen as having benefited from the health law. In a recent AP-NORC poll, 44 percent said they thought women were better off as a result of the law, while only 24 percent said women were worse off. "The ACA set minimum levels of benefits that health plans have to cover and many are highly used, or exclusively used by women," said Usha Ranji, a health policy expert with the nonpartisan Kaiser Family Foundation. "Repeal and replace could take away that minimum level of benefits, which includes really commonly used services like contraception and maternity care." Nashville-based singer Rachel Potter worries about what it could mean for her. She says she was lucky to be covered under the ACA when she unexpectedly became pregnant last year. Bleeding early on and other complications sent her to the doctor's office frequently. "We were able to monitor the pregnancy really closely," said Potter. "I was able to go to an amazing OB-GYN and I wouldn't have had access to that care if I had not been on this insurance." Her son Jude was born in December and is already on the road with her. Potter's medical bill came to more than $40,000, but she only paid about $2,000 of that. She's now thinking about getting a long-lasting form of birth control while her insurer is still required to cover it at no charge to her. "I don't know the future of the health insurance situation," said Potter. Five doctor groups representing about 500,000 clinicians on Thursday called for maintaining the ACA's women's benefits, along with other protections. The groups include family physicians, the American Academy of Pediatrics, the American Congress of Obstetricians and Gynecologists, the American College of Physicians, and the American Osteopathic Association. A Trump administration spokesman says speculation about components of an "Obamacare" replacement is premature. Under that approach, insurance plans in states that pick the alternative would not be required to cover maternity and newborn care. However, plans in all states would have to cover the ACA's preventive benefits, including birth control. Collins staff said the draft bill is a starting point. Some "Obamacare" critics argue that required benefits for women have driven up costs for others, for example young men who don't need maternity care. Other experts say the impact on premiums is modest compared to provisions of the law such as guaranteed coverage for people with medical problems and tighter limits on how much older adults can be charged. "Relative to other market changes, there is no indication that required coverage for women's health benefits was a primary driver of premium increases," said Caroline Pearson of the consulting firm Avalere Health. — Pregnancy, a prior cesarean-section, a history of domestic violence, or problems with depression could be deemed a pre-existing condition, triggering restrictions on coverage or higher premiums. — About one-third of plans on the individual insurance market charged women between the age of 25 and 40 premiums at least 30 percent higher than men of the same age. —Only about 12 percent of plans available directly to individuals included maternity care. — About 20 percent of women of childbearing age covered by large employers spent some of their own money on birth control pills. Currently it's fewer than 4 percent.